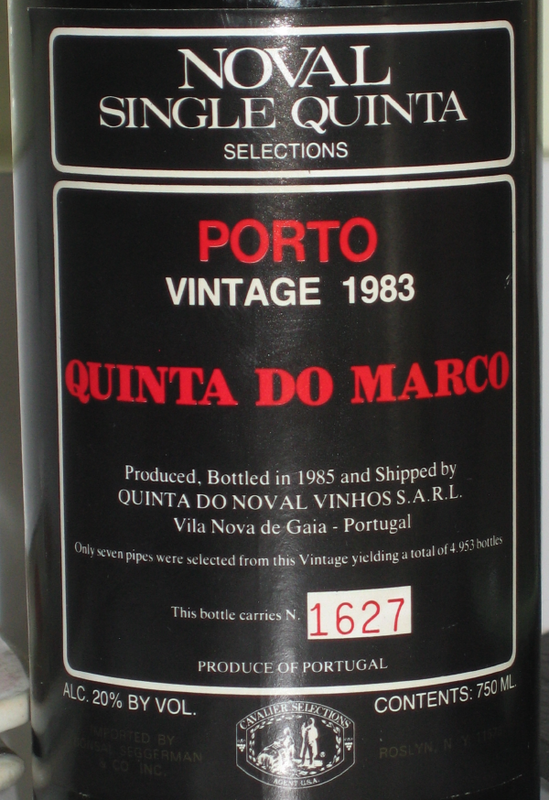 Noval’s rarely-seen single-sub-quinta, Quinta do Noval Quinta do Marco 1983, recently purchased from Manley’s Wine & Spirits, 35 Eighth Avenue, New York NY 10014-5103, telephone +1 212 242 3712, for $99.99+tax = $108.36. Served alongside G-man’s newly arrived Fonseca 1980 on Saturday 23 August 2008 at French Roast, on the south-east corner of Sixth Avenue and 11th Street. 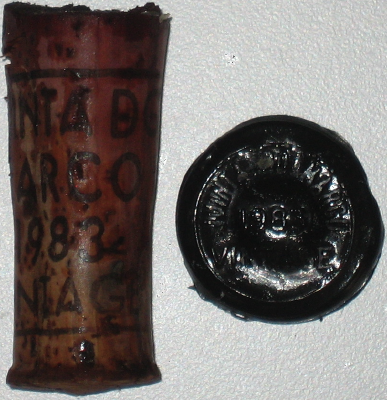 NM83 is an odd port, but would have been a splendid ingredient in a blend. Most interesting. Bottle in good condition, though a little seepage (probably not from this bottle) had stained the IVDP number (AO 843668 12) into unphotographability. 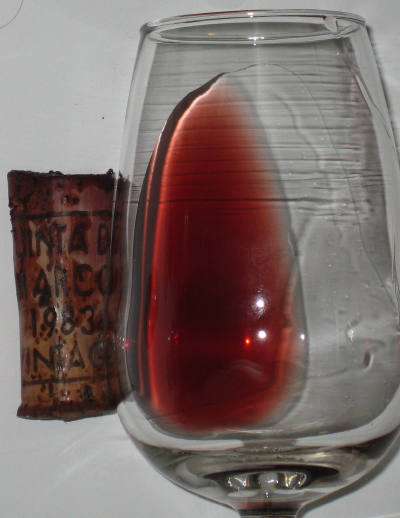 Decanted at noon, the cork wet throughout but remaining intact, the muslin trapping a fair quantity of fine sticky sediment. At D+0 a lovely red hue, an excellent hue, even if of slightly more than middling translucency. Heat to nose, then faint cherry. The taste was very very astringent and closed, with much bitterness in the mid-palate. I recorded ‟NM83: so far, not very good at all”. At half past four events started, and it retained that great hue, fading to pink at the edge. 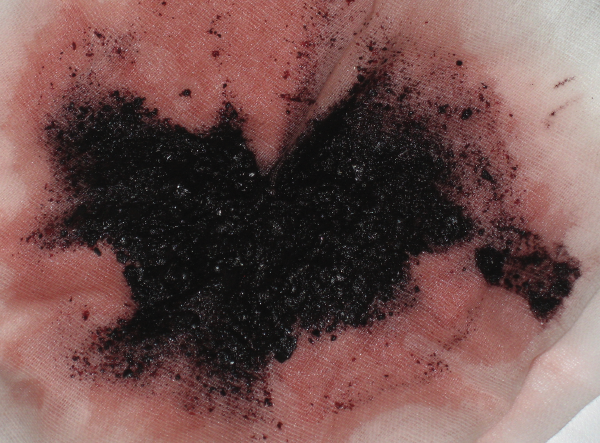 Nosing of tannin, bitter cherry, and still rather faint. To taste the tannic astringency was much reduced, though still massive and overwhelming. Mouth still puckered even five minutes after a sip. Dry by port standards. Hard to score: somewhere between 1/0 and 1/3 perhaps. Greatly improved by strong cheese. It was like drinking the Taylor backbone with no flesh. It would make a fantastic ingredient if blended with something sweet and fruity, but as a stand-alone port, it failed. Very interesting: if seen, I recommend buying exactly one bottle. Thanks for the take on this one. I've got one bottle of this plus one bottle of their 83 Noval Quinta do Silval as well. I hope to find a regular 83 Noval and then put them together for a side-by-side tasting, just to see how they compare to each other.